There is just something about leather... the look, the smell, the texture, the versatility... which makes incorporating it into your home decor oh so simple. Leather is earthy and warm and beautiful. It can be rustic or elegant or modern. 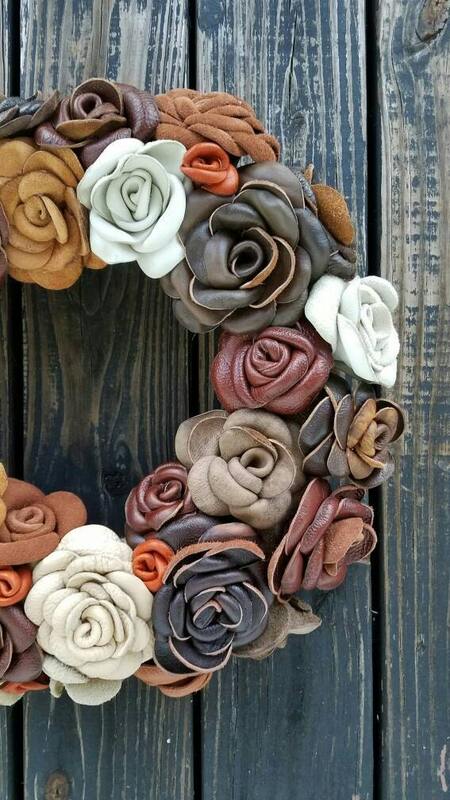 I wanted to pull those elements into my work and with this leather flower wreath I have created a one of a kind, beautiful wreath which is truly original. The tones are rich and earthy, with creams, browns, pale "taupish" pinks, and rusts. Some flowers are suede while others are tanned leather. Some of the suede flowers have designs burned into the petals. The overall affect is stunning, elegant, simple, and beautiful. 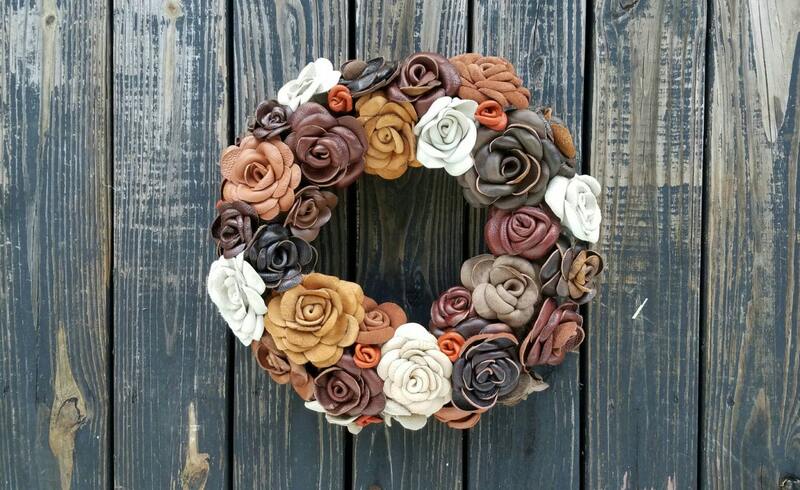 Each flower was hand crafted by me from leather remnants and attached to a 12 inch Styrofoam wreath form. 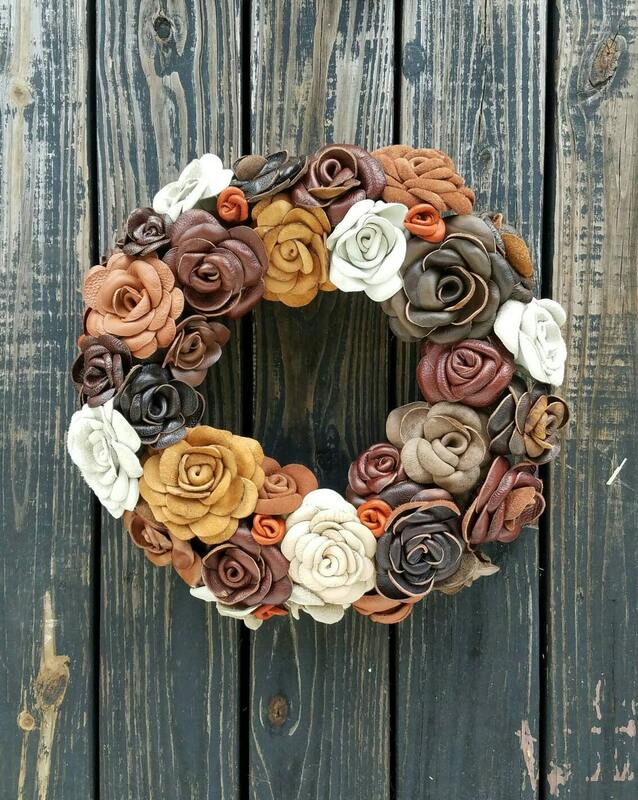 Each flowers is crafted from leather. There are no leather substitutes. 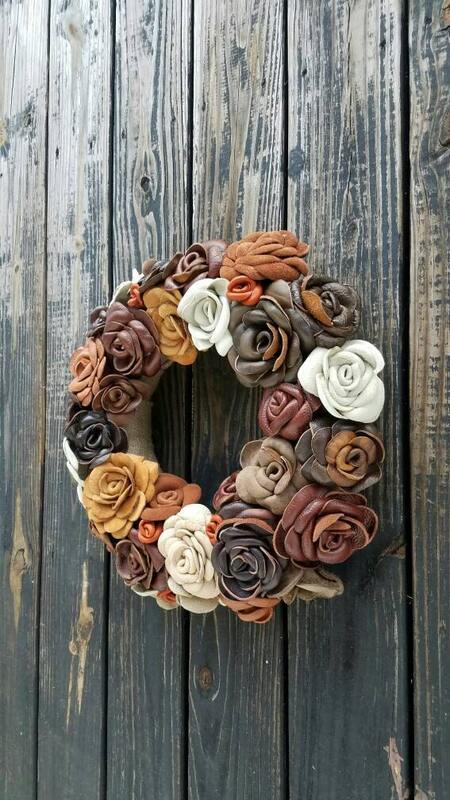 Due to the material used the wreath should be displayed indoors or in a covered area. Hang it over your mantel or on a door. Do you have a mirror in your entry, den, dining room, or living room? With a bit of satin or silk ribbon you can hang it across your mirror. 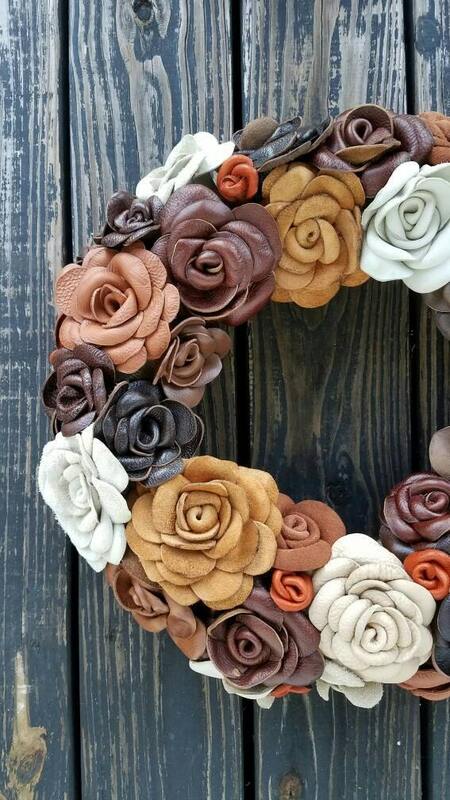 Wreath measures approximately 17 to 18 inches in diameter.